Out of the box and onto the stage. 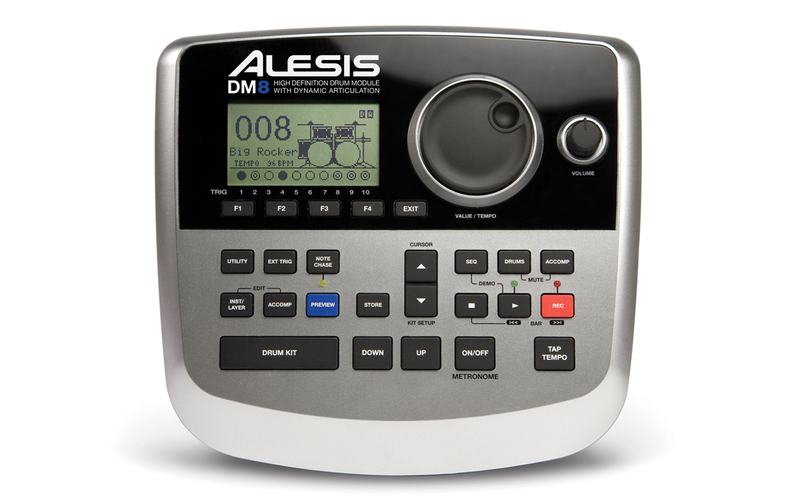 It's an ultra-compact module, which means integrating components of the DM8 USB Kit – or the entire setup – into acoustic drum setups and percussion rigs is easy and comfortable. Imagine adding electronic, percussion and rare, ethnic sounds without giving up the organic, primal power of an acoustic set. 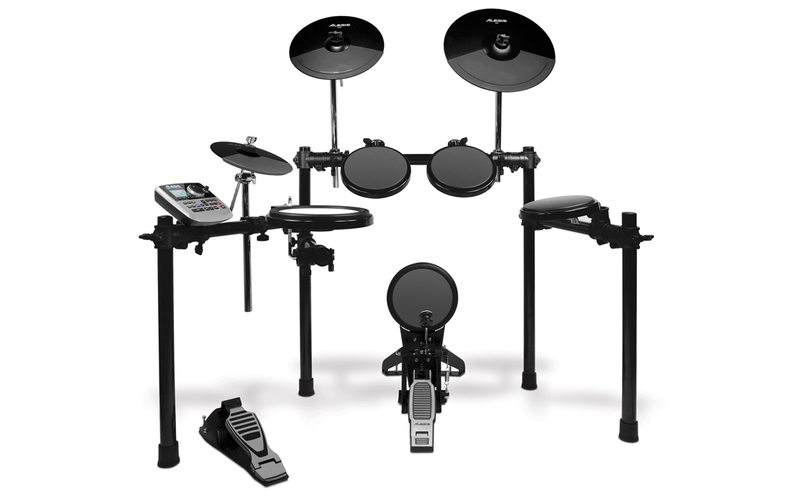 The DM8 USB Kit features a dual-zone snare, three toms, and a rugged kick pad. You can use virtually any single or double kick pedal for the pedal feel you prefer. The snare and tom pads mount on standard 10.5mm L-rods with low-slip, knurled mounting surfaces. 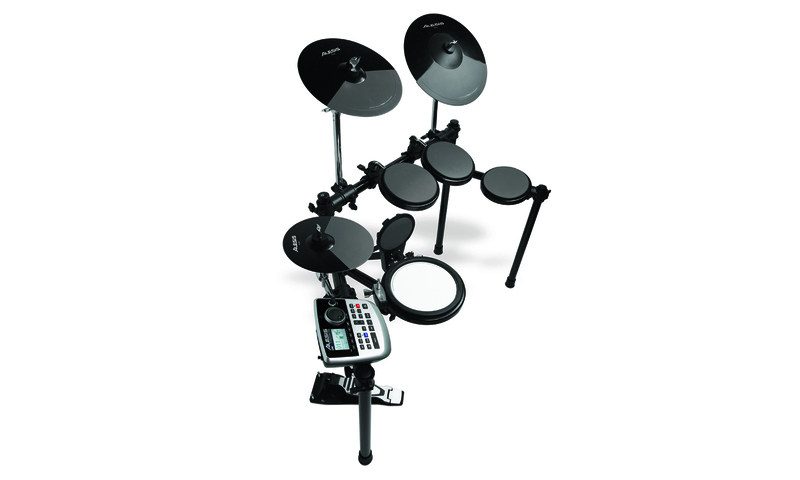 The DM8 USB Kit comes with a compact 8-inch Hi-Hat with continuous-control pedal, a 12-inch Crash with choke, and a large 14-inch dual-zone Ride. Everyone knows it can be tough to be seen on stage when you’re a drummer. You’re in the back, usually with no lights. And forget about being able to dance. That’s why our designers took great pains to make the DM8 USB Kit look as great as it feels and sounds. You’ll notice the sleek lines of the DM8, bathed in Raw Aluminum painted finish, which just might match your MacBook Pro, iPad, iPod, or iPhone. Drummers know that hardware can make or break a kit. But what’s ideal for tour – oversized, overweight stands – aren’t necessary in the studio, where space can be at a premium. That’s why we designed the DM8 USB Kit’s DMRack to take up minimal space yet offer stability, durability, and total position flexibility. Besides size and noise, one of the requests we hear the most from drummers is that they hate building a rack from scratch. That’s why the DMRack comes pre-assembled in the box. We love to listen to what drummers have to say, and we’re happy to help save time and effort getting the kit from the boxes to read-to-play! 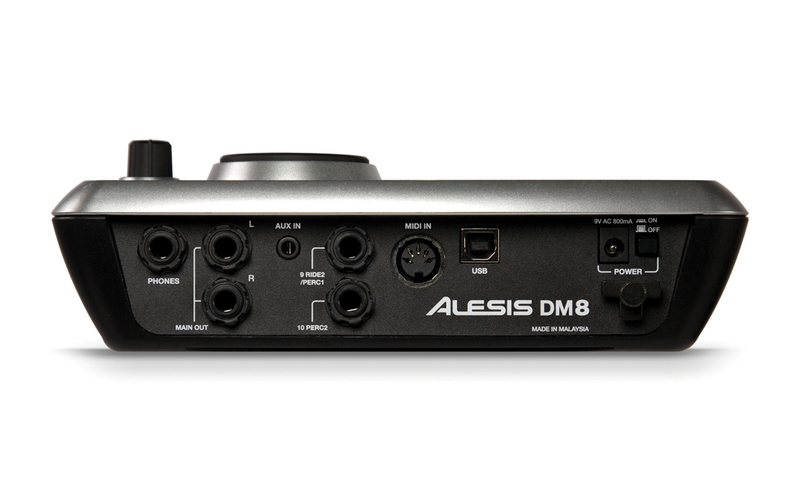 The DM8 USB Kit is quiet, compact, and ready to rock with amazing sounds. 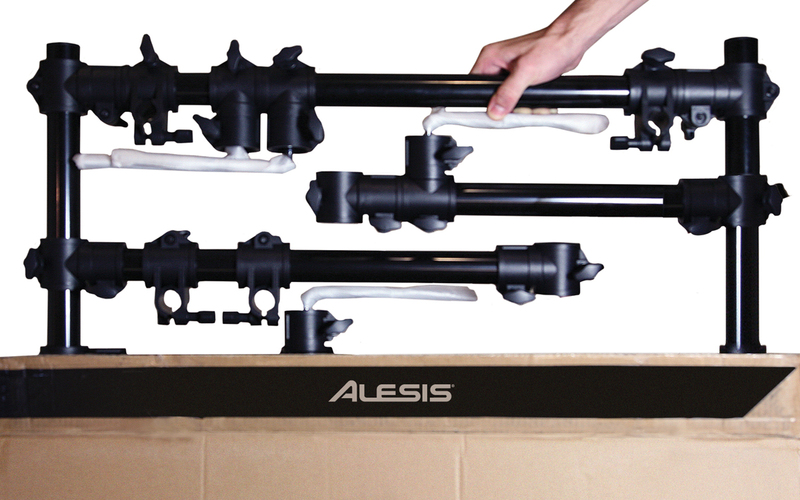 Take one for a test drive at your favorite Alesis dealer.